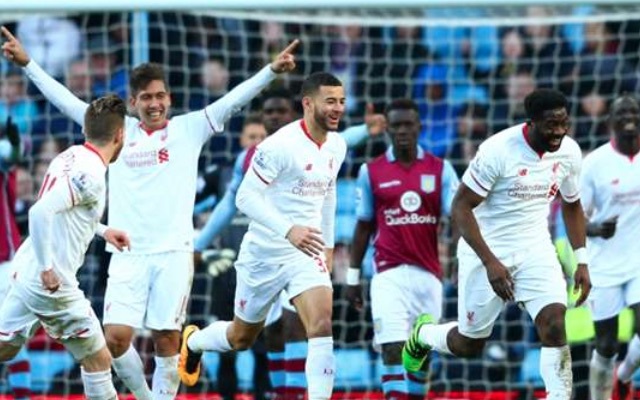 (Video) Ranking Liverpool’s six goals from Aston Villa drubbing - which was most satisfying? Six goals, six different scorers and our joint-best Premier League away win – yesterday’s trip to Aston Villa was as a very satisfying one for Liverpool. And that’s before the Valentine’s Day celebrations! But which of the goals gave Empire of the Kop the most satisfaction? Perhaps of all the goals, this one is the most attributable to hapless Aston Villa defending rather than good Liverpool play. A good delivery by Milner, but awful goalkeeping from Mark Bunn. This was also shocking Villa defending – they had at least three chance to clear the ball! Why is this more satisfying than Milner’s goal? Because a full-back is showing the ambition to get in the box. Because it is Kolo of course! Look at how happy he is in that celebration! The quickest goal scored by a Premier League substitute this season, Origi bagged 37 seconds after his introduction after a superb through ball from Philippe Coutinho. Welcome back, Divock! Our best two players combining for the opening goal. As much frustrating as satisfying, though. Imagine how much better things could be if these two had been on the pitch together a bit more often. A well-deserved first goal of the season for the impressive German midfielder. He wins the ball originally, gets back on his feet and then finishes confidently into the bottom corner. We have been looking for Can to add goals to his game and hopefully this fine effort will get him going.